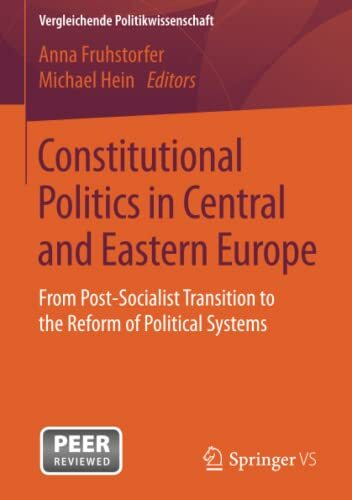 The contributions to this edited volume discuss constitutional politics in 20 Central and Eastern European countries. The country chapters describe all constitutional amendments and new constitutions after the first post-communist constitution-making, all failed amendment attempts, and the political discourses about constitutional politics. Framed by a broad comparative chapter, the country studies are embedded in the established literature on constitutional politics. The book thus provides a better understanding of constitutional politics in the region and beyond.